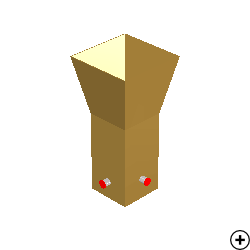 Antenna Magus Version 2018.1 released! 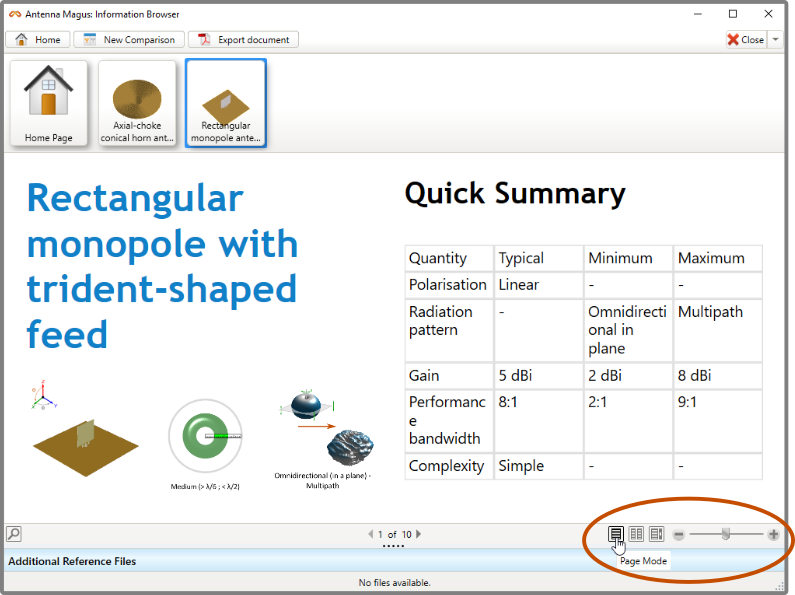 Version 2018.1 includes 4 new antennas as well as various new features and improvements. This newsletter will discuss the new antennas as well as a selection of the features and extensions that have been made available. For more comprehensive information please visit the full release notes. Image of the Quad-ridged dual-polarised square horn antenna. 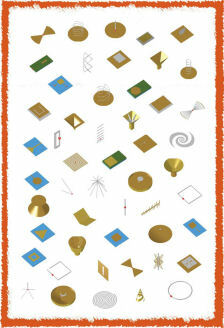 Horn antennas occur in a variety of shapes and sizes, allowing them to be used in a wide range of applications. Some of these applications require dual-linear orthogonal polarisation with minimal interference between polarisations. The horn antenna designed here makes use of quad ridges with two orthogonal feeds to achieve this dual polarisation. The feeding structure has the advantage of being able to support a fundamental propagation mode polarised in either of two orthogonal directions. 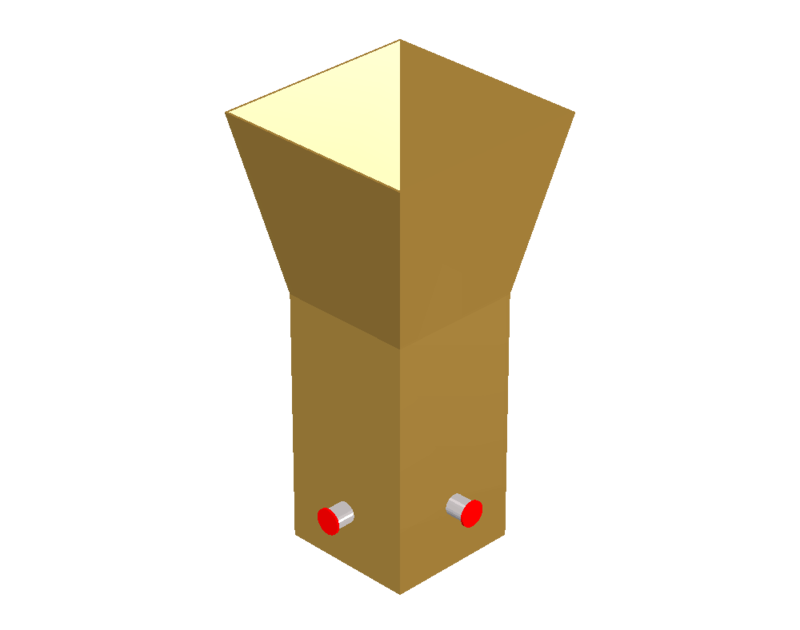 This ability in turn supports a mode in virtually any polarisation (left hand circular, right hand circular, slant-linear, and dual-linear etc.). Manufacturing of the ridges can be costly due to the tolerances required to obtain UWB operation. 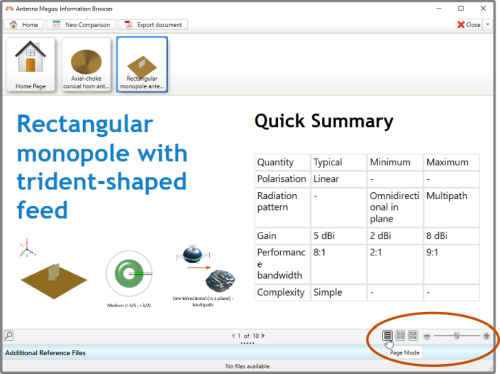 The antenna designed here is a more cost effective and simpler construction, while still achieving all of the above mentioned polarisation specifications. The trade-off, however, is that the operational bandwidth does not achieve the specification set out by the UWB definition. A good reflection response and isolation between ports is achieved over a 25% bandwidth. This can be increased by tuning the ridged feed structure within the waveguide. The polarisation-specific boresight gain varies between approximately 11 and 14 dBi across the band while maintaining a minimum cross polarisation of 15 dB. Good radiation pattern symmetry over the band is observed. Image of the Self-complimentary MAW 4-arm Archimedes spiral antenna. 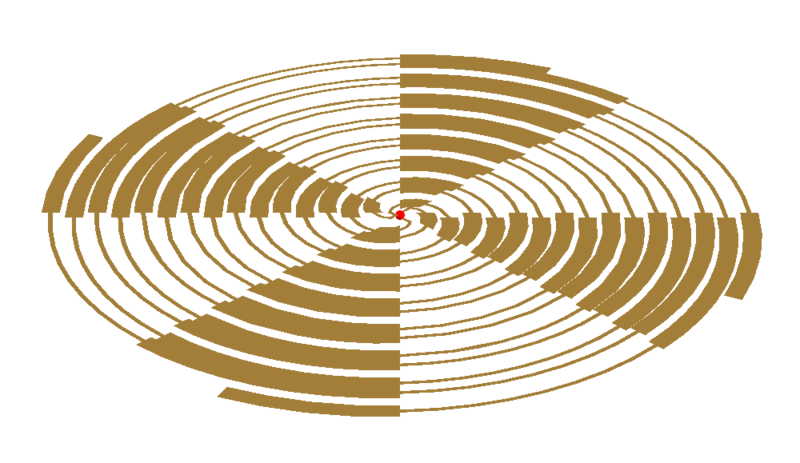 The basic 4-arm self-complimentary Archimedes spiral already forms part of the Antenna Magus database. By using modulated arm widths, a new class of broadband antennas capable of dual-circular polarisation is produced. 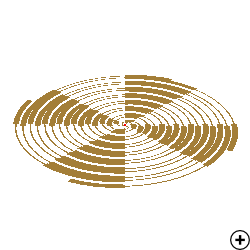 The MAW self-complimentary 4-arm Archimedes spiral antenna radiates a rotationally symmetric, wideband, circularly polarised beam with boresight maximum sum (Mode 1) and reverse (Mode 3) or boresight null (Mode 2) pattern. Both pattern and impedance performance is fairly frequency independent over the operational band. 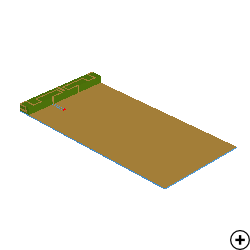 When the structure is large enough Mode 3 radiates a difference pattern. If, however, the structure is not large enough to support efficient radiation of Mode 3, simple reflection of the current at the ends of the structure produces a return excitation which efficiently radiates like Mode 1, that is a smooth lobe sum pattern, but with the opposite sense of polarisation. Hence, introducing a modulation in the arms to effect a stopband region after the Mode 1 active region and ahead of the Mode 3 region is sufficient to give the required dual-polarisation operation. Image of the Printed Loop Antenna with Four Resonant Modes. The need for multiband antennas to cover various bands like GSM/LTE, WiFi, GPS etc. is constantly increasing. 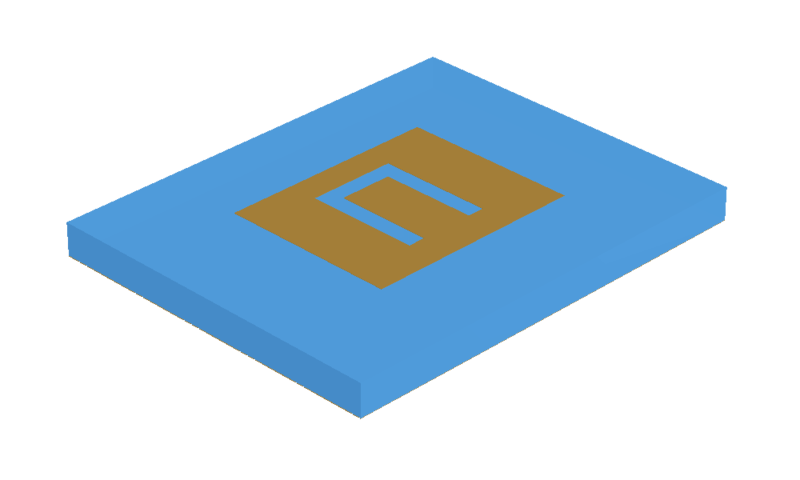 While PIFA/IFA antennas are very popular, their unbalanced modes have high ground plane surface currents which makes them sensitive to user interaction. The balanced modes of loop antennas on the other hand have less surface currents, making them more suitable for user interaction. Unfortuantely, these balanced modes lead to structures with smaller bandwidths than those of conventional PIFAs/IFAs. The four mode loop antenna has four resonant modes. 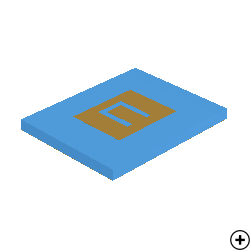 These modes are generated by the folded, meandered loop element. 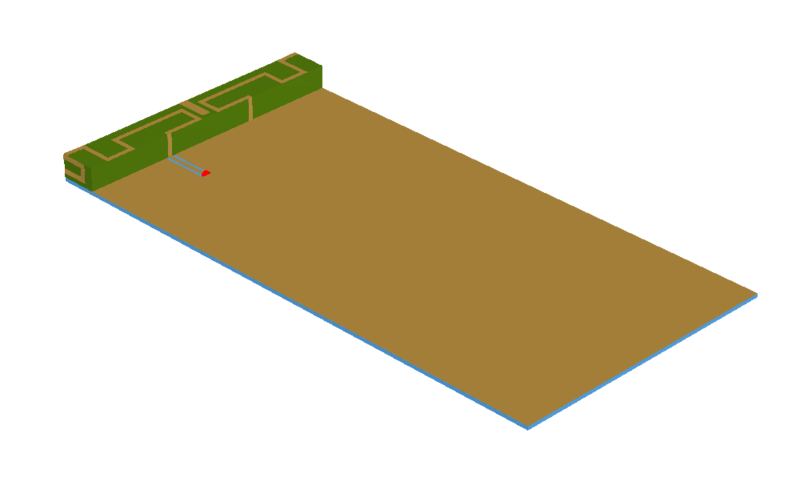 The bandwidth of the lowest mode can be increased by using a matching circuit, while the others are increased by adjusting the tuning arms or adjusting the spacing between the feed and shorting pins. In cases where the default font size may be too small to read, a slider has been added to allow some degree of font and picture size adjustment. In addition to this, the layout of a document in the Information Browser can now be changed from the standard Page Mode to either Two Page Mode or Scroll Mode. To provide better feedback to the user, especially for processes that do not execute immediately, busy indicators have been added to the Export Report button as well as to individual Collection items. A ‘spinner’ will be shown on the Export Report button to indicate when the process of exporting a report is still in progress. An orange indicator will be visible on Collection items that have at least one design that is busy estimating. Once designs have completed their performance estimation, a popup indicator will appear, as in previous versions. While in previous versions it was only possible to import a single trace from a file in the Chart Tracer Tool, this functionality has been improved to allow the import of multiple traces from a single file.